Cloud Storage is a form of data storage where data is stored in digital pools hosted by many servers, often in different locations provided by a hosting company. 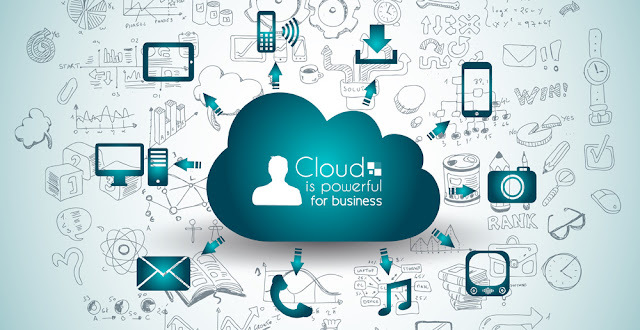 Cloud Storage allows users to upload, store, backup and manage their user data, application data or organization data. Users can access the data anywhere with an Internet connection on an online website, an API or an application. Nowadays, there are various Cloud Storage services available such as Amazon Web Services, Google Drive, Dropbox, OneDrive and so on. Cloud Storage is based on virtualized infrastrcuture with accecssible itnerface, high scalability, elasticity and measurable resources. Cloud Storage is built upon multiple distributed resources, but operats as a single and a cooperative architecture. This type of storage is used in our daily life for safety of our data and devices. For instance, using an android phone or an I-phone, you will have a sort of device and data backup to sync our phone online in case of device loss or damage. I-cloud can be taken as an example for a storage and a device backup. With i-cloud account, you can sync your data once your device is signed in with that account. Private Cloud literally means the storage for private usage of a single person or a company/enterprise. The system is designed for a specific needs and requirements. This type of Cloud storage come into two methods; one is on-premise and the other is externally hosted. User can have more control on the system as well as customize it if wishes. Furthermore, users will feel safer as their data and information cannot be accessed by third-party. This cloud service does not ask for a lot of administrative controls from users. There are available accesses by public or authorized people to this kind of storage. It will be suitable for the mass use with less rigid and specific business needs or security concerns. To boost the security of Public Cloud, you can subscribe or buy services for system and data security. As the name states, Hybrid Cloud Storage is the combination of Public Cloud and Private Cloud. It allows users to select an environment flexibly whether to be public or private. In this case, data is stored publicly, but some parts need to be kept confidential and private, users can switch the mode of Cloud from public to private or vice versa. This type of Cloud Storage is very convenient for users and preferable. After you have deteremined the type of Cloud Storage you would like to use, you can move to choose the Cloud provider. There are many cloud providers nowadays that may make it hard for you to select on. But no worries! There are a lot of professional reviews about this matter. To nname some of the best Cloud Storage providers, there are Dropbox, Google Drive, iCloud, Mega, OneDrive, Box, NextCloud, SpiderOak, etc which are very popular Cloud Storage in recent years. Backup and Recovery: To sync data in a cloud account and be able to restore the data are very important part in data storage. With the increasing demands and needs of people in storing and backup data, Cloud Storage has come in handy with great solutions for data backup and recovery. Software testing and development: To create an environement that is separate and independent for testing software to make necessary improvement or modifications is very critical. There are multiple major companies which have create big applications with high performance and cost-efficiency thanks to Cloud storage. Nowadays, many developers have utilized Cloud Storage instead of backbreakingly managing their own system. Cloud Data transfering: The availability, stability and cost advantages make business owners attracted to Cloud Storage. However, with administrators managing storage, backups, and security, they think it is not a good idea to move a large amount of data to the cloud or vice versa for fear of being time-consuming, security, etc. Now there are some data migration services to the cloud with high bandwidth, which solves the problem of time and security. The biggest disadvantage of Cloud Storage is the increased usage of bandwidth which gives rise to the increase of operations cost. Another downside of Cloud Storage is it requires internet access; so if your connection is not strong enough, you might not be able to access the data. If you want to access the data from multiple devices, you need to download an application which allows you to sign in on different device so that you can have access to the data. The concern about data security for some companies is here and there. It might be a bit worrying for them as their data is stored somewhere else hosted by another organization. Not to mention when data is on the way to be uploaded onto cloud, there might be chances of being attacked or unauthorizedly acccessed. In general, Cloud Storage’s benefits appear to overshadow its downsides. Knowing how to use Cloud Storage carefully and properly that meets your needs is very helpful in work and life nowadays.